AS SEEN ON FOX NEWS! babyfonics genius™ on FOX News! 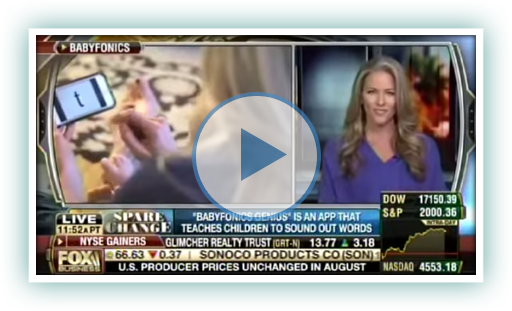 babyfonics genius™ was recently featured on FOX News Business! 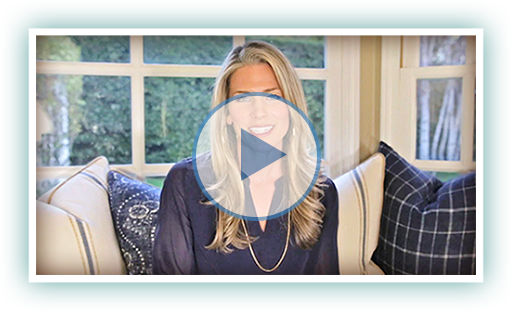 Watch now to see why babyfonics genius™ works and why it's free! Download our revolutionary babyfonics genius™ app, and teach your child to read even before they learn their ABCs. Pioneered by a teacher and mother who has used the method with great success, babyfonics genius™ is a simple, common-sense approach that helps reading come earlier and easier than ever before – by teaching your baby the sounds that the alphabet letters make, not the names we traditionally attach to them. We do not teach the ABCs, and what a difference that makes! With its simple screens, whiteboard tools and creative play suggestions, babyfonics genius™ quickly becomes a fun activity that fits naturally into the time you spend with your child. Just a few minutes a day can work wonders. Demonstration videos will help you get started. Then, sooner than you can imagine… your child can read! Our app is organized into four progressive phases, one leading naturally to the next as you’re ready. Every child learns at a different pace. We provide recorded pronunciations of the 17 alphabet lettersounds along with words from our word list. Our videos with suggested Play Activities open the door to creativity. The best way to learn anything is to have fun with it. One finger turns your iPad or iPhone into an early-reading tool. Use the built-in whiteboard to write lettersounds, words, and fun creative stories. It's a kid favorite! As you move through the four phases, lettersounds will start to be combined into specially-designed first reading words. What a thrill! Once your child graduates from the starter words... sky’s the limit! Use our suggested word list to get them even more comfortable with their new skill. Why was the babyfonics genius™ app created? The founder of babyfonics genius™ saw how hard it was for her youngest students to learn to read, with many still struggling at it in 2nd and 3rd grade. Concerned about what this means to their future, she took on the project of changing the way reading is taught so that ALL kids have an easier time learning to read; babyfonics genius™ is the result. Is this just another phonics-based program? We do not consider ourselves a phonics-based program. We are changing the way kids learn the ABCs – by learning them as letterSOUNDS first. No other program does this. Why not just teach the ABCs? The ABCs make it harder! Look in a typical kindergarten or 1st grade classroom and you’ll see many students who know their ABCs but can’t read. They struggle to re-learn the letters by their sounds. Kids who learn with babyfonics genius™ already know their sounds and will naturally begin to read. The alphabet has 26 letters. Why teach just 17 lettersounds? We are a beginning reading program, and our goal is for your child to learn the reading process. They do not need to know all of the sounds to learn to read, and keeping things simple is an important concept. Once a child becomes a beginning reader, it’s easy to add the remaining lettersounds. By then, reading is already second nature and confidence is high. Why did we pick these 17 lettersounds? We specifically chose our lettersounds based on letters that are easy to identify, lettersounds that babies typically make, and the actual alphabet letters that most frequently appear in small, easy words. Why start when they are still a baby? We believe it's essential to catch them before they learn their ABCs. From 0-5, a child’s brain is undergoing peak growth and development – and can soak up information like a sponge. The perfect time to learn reading the easy way! What difference will this make for my child? Educators now know the critical importance of early childhood education. Studies show that children who have early literacy experience are likely to be far more successful in school than children who don't. Every child is different, of course, but why not give your child the best possible chance. My life is busy. Do I need to use babyfonics geniusTM everyday? Not at all! The great thing about our program is you can do it every day one week, skip a week when you must, or do it just a couple times another week – and always just start back up where you left off. Baby may need a little refresher, but the concept is in place so a little repetition brings it all back. And off you go! Download the babyfonics genius™ Press Kit and get high resolution screenshots, logo, and other print and online assets. LET OTHERS KNOW ABOUT babyfonics genius™ - THE EASY WAY TO LEARN TO READ! Subscribe to the babyfonics genius™ news feed to receive our latest announcements, news, events, and tips on how best to use our program for early reading fun & success. to send updates and offers directly from babyfonics.com. That’s our promise.